Home > Dog Food > The Farmer’s Dog Review – Ultimate Fresh Dog Food Delivery? I’ll cut to the chase and say we love The Farmer’s Dog. Apart from the amazing quality and competitive prices (in relation to fresh dog food), they offer DIY homemade dog food recipes as well, proving the company’s mission is to improve the health of dogs and not to just make a penny. The Farmers Dog is a subscription fresh dog food delivery service that urges pet parents to rethink the kinds of food they are feeding their pets. 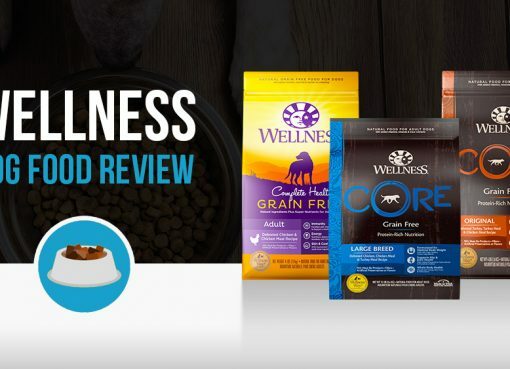 The company allows pet parents to find personalized, custom-crafted foods that make use of human-grade, USDA certified ingredients in every package. And to help make sure that every Farmer’s Dog package meets up to the company’s high standards, a panel of board-certified veterinary nutritionists are on hand to provide input for each recipe, ensuring that they provide complete and balanced meals in line with AAFCO dog food standards. The Farmer’s Dog Coupon Code – 50% Off! Update: for a limited time, The Farmer’s Dog is offering Woof Whiskers readers 50% off your first order when you order through this link or the button above! Simply click “use your discount now” at the top of their webpage. Unboxing our first order of The Farmer’s Dog. Everything was nicely packed and kept very cold. Similar to our NomNomNow trial, The Farmer’s Dog shipment arrived safely in a large brown box stamped with marketing (some of which was pretty funny, including “If your dog doesn’t love it, send it back. We’ll eat it.”) and warnings that there is perishable food inside. Before opening, I did a “shake test” by seeing how well everything was packed inside and there wasn’t much movement at all from things loosely banging around. Upon opening the box, everything was indeed nicely packed. We liked how competitor NomNomNow wraps their food (kind of like a bow on a present) to hold each pack in place, but each pack of The Farmer’s Dog box was thoughtfully sized so it fits snuggly inside the container. Everything was kept very cold as well thanks to the dry ice and biodegradable insulation that can actually dissolve in your sink! In addition to 14 packs of fresh dog food, The Farmer’s Dog trial box included a recyclable container to store leftovers (this is particularly useful when spacing out feedings to two meals per day) and a handy getting started guide with instructions. What we liked about their instructions is that it says to toss all but one in the freezer right away instead of the refrigerator. 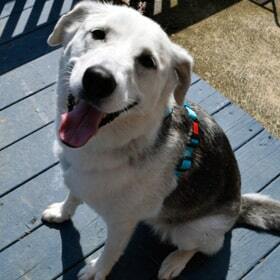 Once you feed your dog the thawed pack of food, take another out of the freezer. Other companies say to place them in the fridge and use or freeze within 8 days. With one of our previous tests, without thinking, I went ahead and tossed them all in the fridge which was a mistake because Sasha wasn’t going to be able to finish all 14 packs within “best by” date. This shows a close-up of the Turkey recipe. You need scissors in order to cut each pack open, which you then squeeze out into your dog’s bowl. Not only are all of the ingredients used human quality, but Farmer’s Dog also promises that every ingredient is prepared in human-grade kitchens in New York, and then quickly frozen just before transport. This means that your pup gets the freshest food available, and the company promises that their food will never be spending long periods on a shelf before it is delivered to your door. One of the most unique aspects of the company, however, is the fact that they also provide pet parents with quality DIY recipes that allow them to make food right in their home. This means that you can pick your very own veggies and ingredients, so you can know exactly what is going into the food. Then, all you need to do is add in a pre-mixed nutrient pack sold by the company, which provide 9 essential vitamins and minerals that many other DIY recipes lack. So for those pet parents that like to have total control over what their four-legged friends are eating at mealtime, it is hard to find a fresher, more hands on experience than this! At the time of this review, The Farmer’s Dog has three recipes to choose from. This is on the lower end of the spectrum in terms of selection when comparing competitors such as NomNomNow, Grocery Pup, and Pet Plate. Here we will take a look at each recipe individually and analyze the estimated dry matter for a better understanding of nutritional breakdown. The Farmer’s Dog turkey recipe has the highest amount of carbs of all their recipes and the lowest fat. The nutrient profile of this is the most similar to premium kibbles, so we prefer using the turkey recipe when first transitioning to their fresh food. Their Beef and Lentils recipe is the middle of the road for protein, fat, and carbs when comparing it to the other two. And the bonus is beef is super tasty (according to Sasha). The pork recipe is the highest protein offering from The Farmer’s Dog, coming in at just under 40%. This is a great nutrient profile, but be sure your dog can handle the high protein by slowly transitioning. We let Sasha taste test two recipes, Turkey and Beef. She particularly liked the Turkey recipe. The only TINY complaint I have is in regards to the individual packages. They don’t have a tear-away bag, so you need to grab a pair of scissors to open each one. However, in addition to that, squeezing the food out of pouches isn’t too fun either, because its hard to really get all of it out (NomNomNow is the same way, but they have a tear-away top). Once I got it in her bowl, Sasha REALLY enjoyed it – especially the Turkey recipe. One thing I noticed right away is that The Farmer’s Dog has larger pieces of real food. Some of the other big names in this industry ground up the food a bit more like traditional wet foods. As she ate it, I noticed she took her time and chewed the pieces, which is excellent because she has times where she eats way too fast. Farmer’s Dog, unlike many of the other companies that offer subscription boxes, does offer a small two-week sample package for curious prospective buyers. They also offer a 20% discount for first-time buyers, and provide free shipping on all orders. Once pet parents decide to take the first step towards placing an order, the company starts off by asking the basic questions, such as how many dogs you own and what their names are. 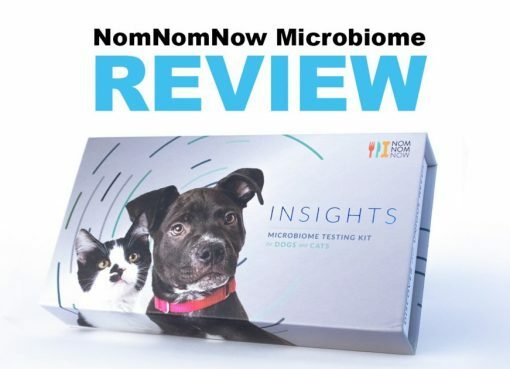 From there, the company asks about age, weight, and whether or not your pets are spayed or neutered in order to best assess what kind of meal plan would best suit their unique nutritional requirements. They also ask about breed and body type, and interestingly also ask you to select a description for your pup (silliest, most loyal, cutest, most stubborn, or normal). Once that’s done, Farmer’s Dog tailors your order even further, asking owners to select an ideal weight for their dog, their activity level, and the pup’s eating style (picky, will eat anything, etc), before asking about allergies and the kind of food your fur-baby is currently being fed, how many treats they are given, and if they require a prescription diet. After filling out all of that, we then move over to the actual menu section, where customers can select what kind of food they want in their boxes. Users can select any combination of beef, turkey, or pork packages, or can opt to try all three for a slightly higher price. And that’s it! 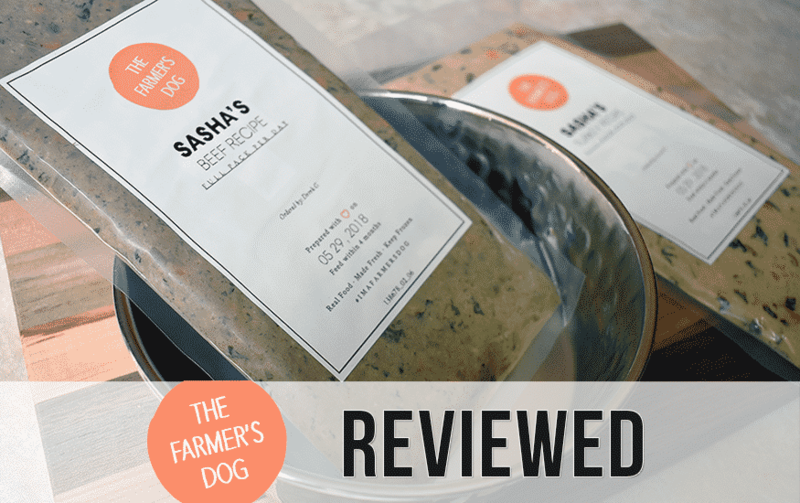 From that point on, you just need to wait for your packages to arrive and then follow the personalized feeding guide that the good folks at Farmer’s Dog have made just for your pup. Ann – thanks for your comment; this is the first I’ve heard of shipment issues. Have you contacted them regarding this? I’m curious what their response was. I personally haven’t run into this. Well here is the second (third, fourth and fifth) time you have heard of shipping issues. They are extremely unreliable and have very poor customer service. Twice we have received dog food for another dog. So not only did our dog have no food but neither did “Gracie.” One other time the food arrived spoiled. They have done nothing. At these prices completely unacceptable. So we are using someone else. 14 food packs just arrived marked Jackson. Will packs arrive for Bailey?? I was skeptical, but my two Pit-Mixes, sniff like crazy at feeding time. 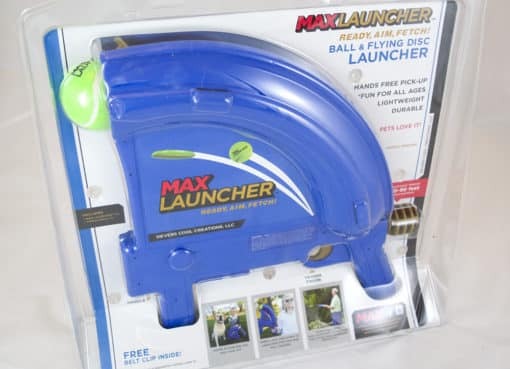 I decided to try The Farmers Dog, after the Dan Bongino Podcast, spoke so highly of this product. I have one fur-baby, who would eat anything but the other one, is fussy. He snarfs this food down, toute suite. Not a crumb is left for his ‘piglet’ sister. I love The Farmers Dog! I see the carbs are high in this farmer dog. Is that a bad thing m please let me know. Cause my 8 pound chipoo is eating this food now. She loved the nomnomnow from oct 2018 till march 2019. Then she got sick from the chicken recipe and that was the end she refuses all recipes from them now. She walked away from raisedfresh. And myollie shipping times was not acceptable here no room in freezer for 2 months of food. Now my concern is the carbs being higher then protein in farmerdog. Hi Diane – Out of curiosity, which recipes did you use amongst the different companies? The carbs in The Farmer’s Dog recipes are no concern. In fact, they are still much lower than most premium kibbles, let alone the fact the carbs are coming from much better ingredients. As long as your dog does well on the food, there isn’t much to worry about. Let me know how she does with TFD. Sasha seems to enjoy this one the most.